Our Bermondsey scheme for London Square has been shortlisted for a 2018 New London Award in the Mixed-Use category. Part of a larger collaborative masterplan by AHMM, we have designed 70 new flats and Tannery Arts’ gallery and maker studios on Plot 1 of London Square Bermondsey. 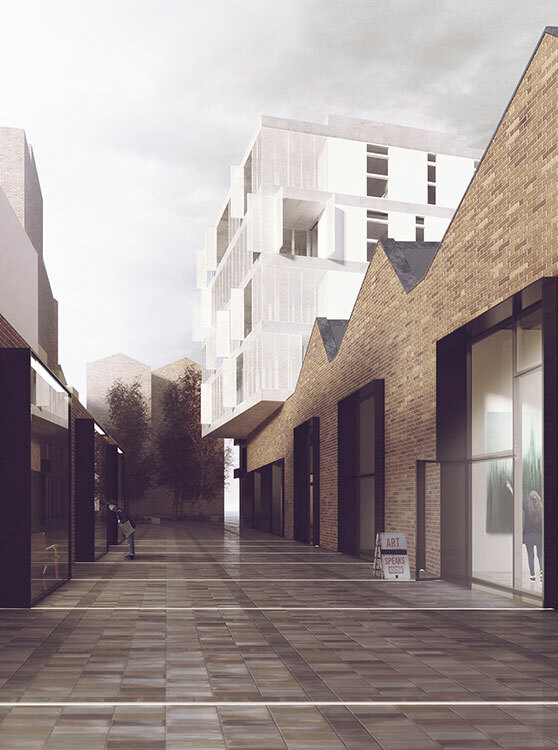 Our designs complete the perimeter block of terraced housing to the north, adding a new route into the site that is lined with affordable commercial space for a gallery, artists’ studios and display cases for designers and makers on the site. A central hub of circulation is accessed from the east, linking our plot, including the retained Victorian factory building, with other new and existing buildings across the site. Watch this space, all winners will be announced on 4 July at the NLA Annual Lunch at the Guildhall.